Get Started – Love Montana. Live Montana. Firstly, your privacy is our priority. Whatever you share we keep to ourselves. Period. So take a moment to connect with us, we’ll hang on every word. Who we are and what we do is one and the same. We don’t conform to practices of a big name business, passing you along to the next available agent on the floor. Instead we connect to our conviction that real estate is more than a transaction. We are with you Every. Step. Of. The. Way. Member, Montana Regional Association of REALTORS® and its Multiple Listing Service (MRMLS). 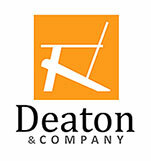 Deaton & Company Real Estate Agents are licensed to sell real estate in the state of Montana.